This blog post brings me a little more up-to-date, having had a couple of reasonably fruitful local visits in the past week or so. On this occasion, I decided to make a return visit to Heather Lake. This place is great for Emperor dragonflies in the middle of summer, but I'd not visited this late in the season before, and wondered if I might find Migrant Hawker here. 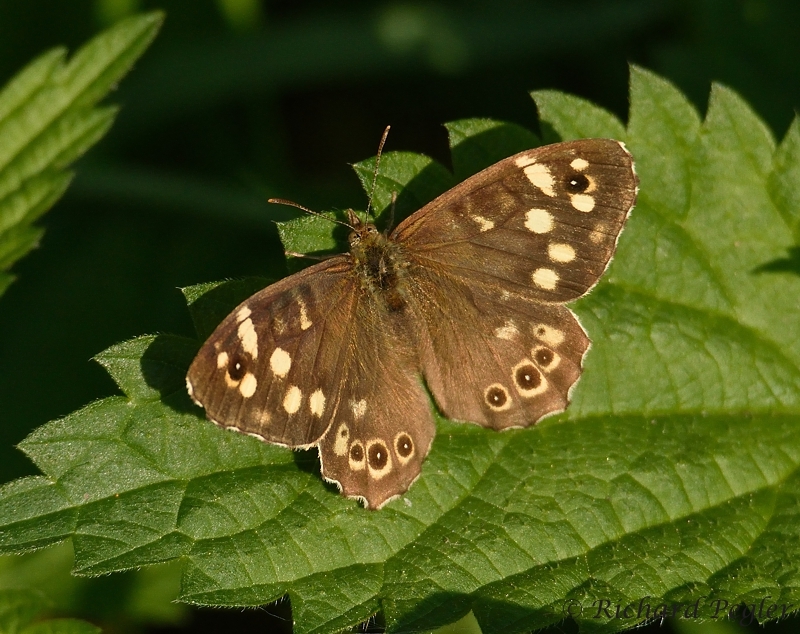 Having parked my car, and started out on the footpath that leads to the lake, I immediately spotted a Speckled Wood butterfly in a photographable position. Exiting the wooded section of the path, there is a narrow watercourse running to the lake. 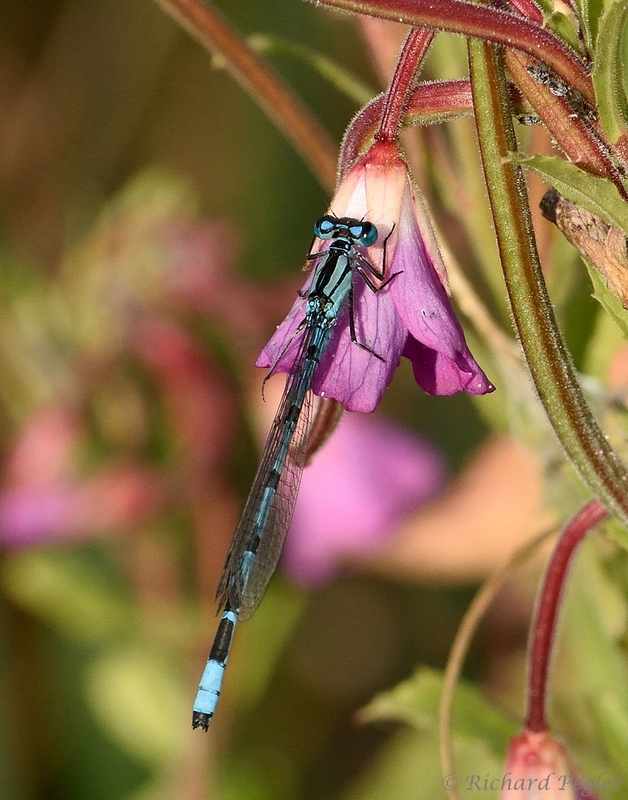 I often see many damselflies here, but on this day I saw none. 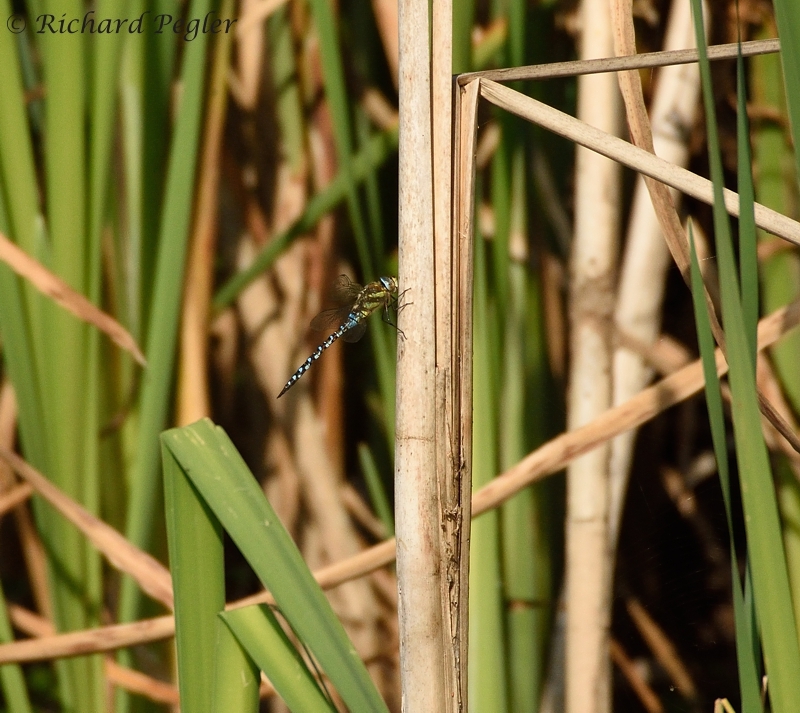 However, having reached the lake, I immediately spotted a Migrant Hawker which settled in reeds on the far (west) bank. 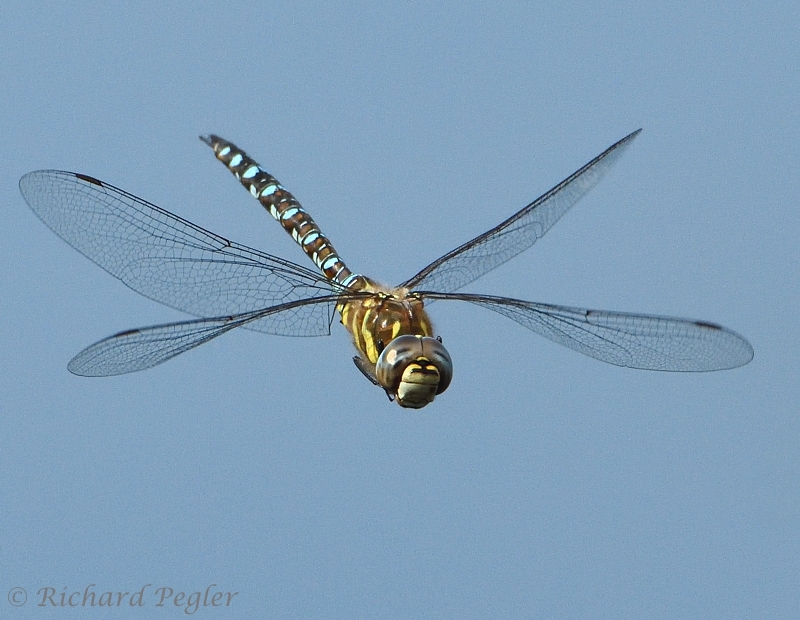 I took a slow pass up the east side of the lake and soon found another Migrant Hawker in flight, and this one settled too - but this time where I could get at it! 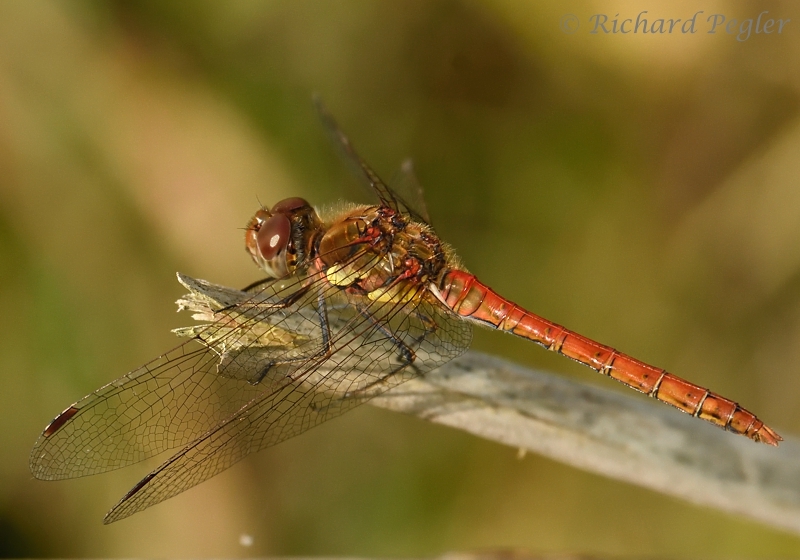 A little further along there was a male Common Darter. 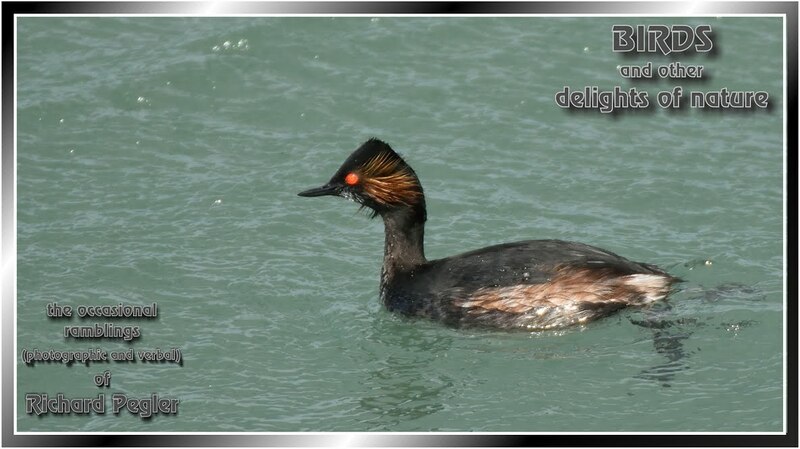 I had started to think this had been a bad year for this species, but now I am seeing many more of them. 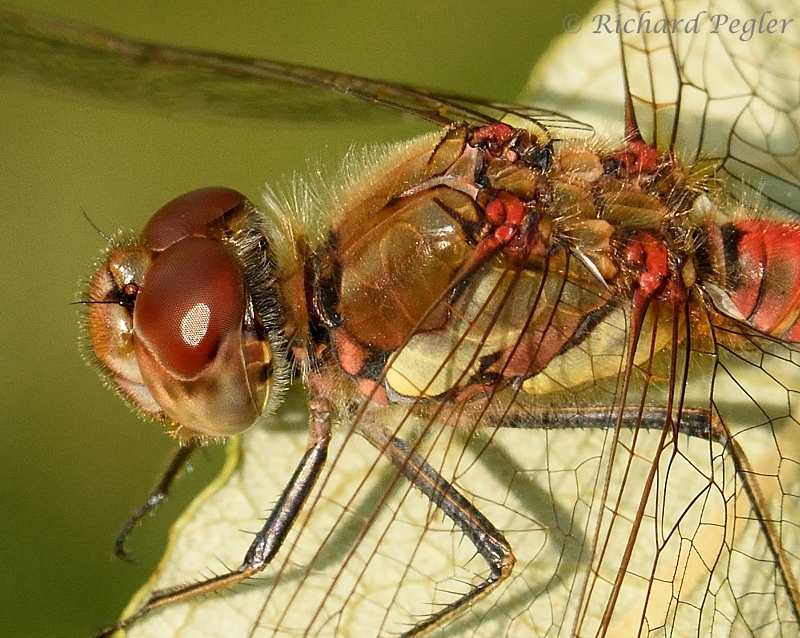 The second image shows the eyes, and the part of the thorax 'powerhouse' which drives the wings, that give these amazing insects the ability to spot and intercept, rather than chase, their prey. 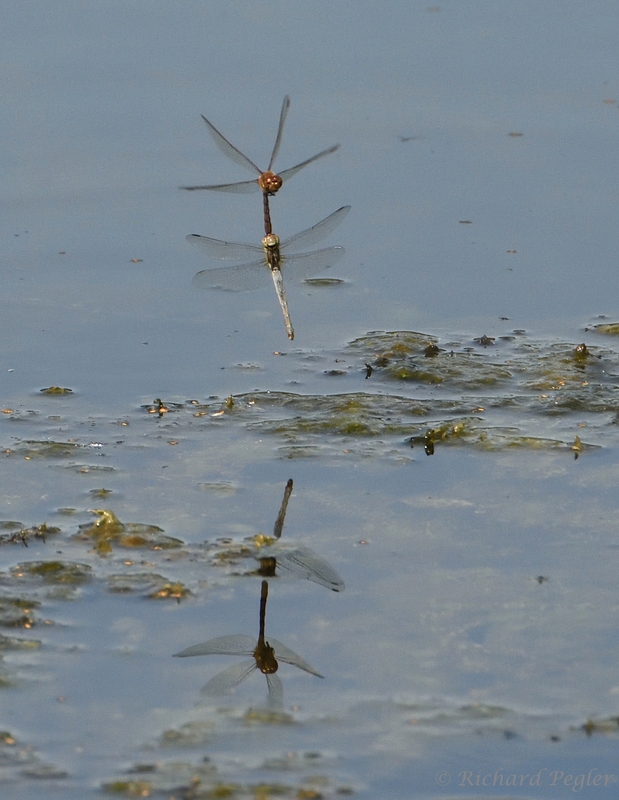 There were a few damselflies at the south end of the lake, but I spent little time with them. Here, however, is one of our most common species. 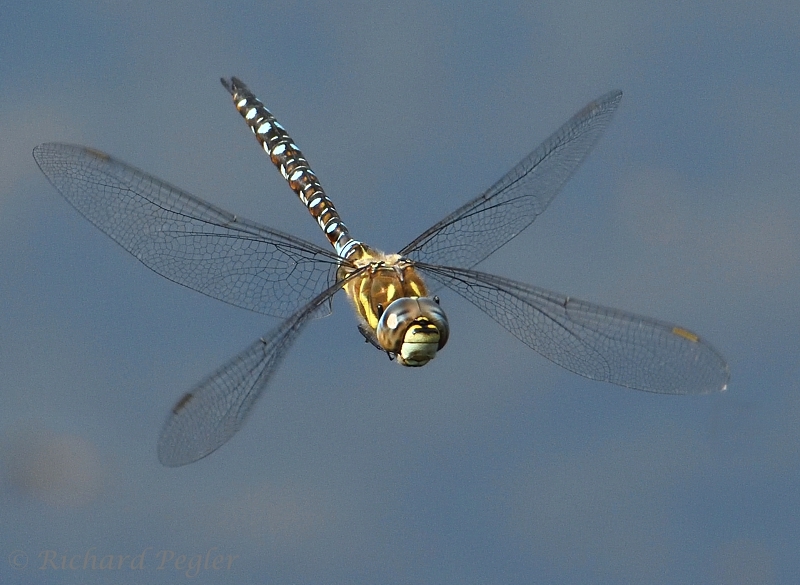 Round on the west side of the lake I saw a Brown Hawker looking as if it was trying to find somewhere to roost. Eventually it did but, sadly, in a place where it was impossible to get near to without being torn to ribbons by a 5-metre dense wall of brambles. This was the best that I could do. 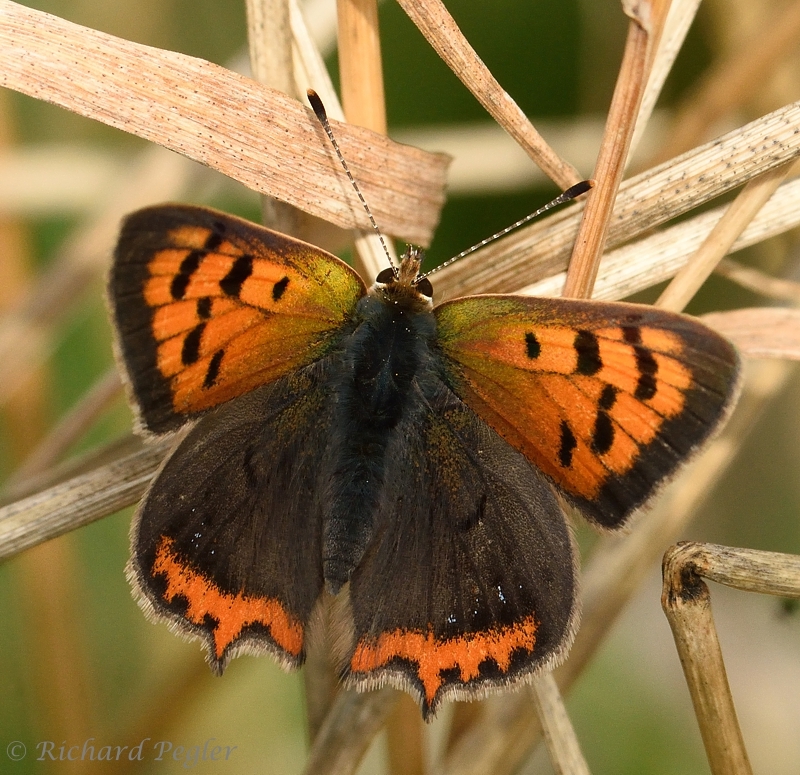 Arriving at the point where I'd seen my first Migrant Hawker of the day land, I spotted a Small Copper butterfly. 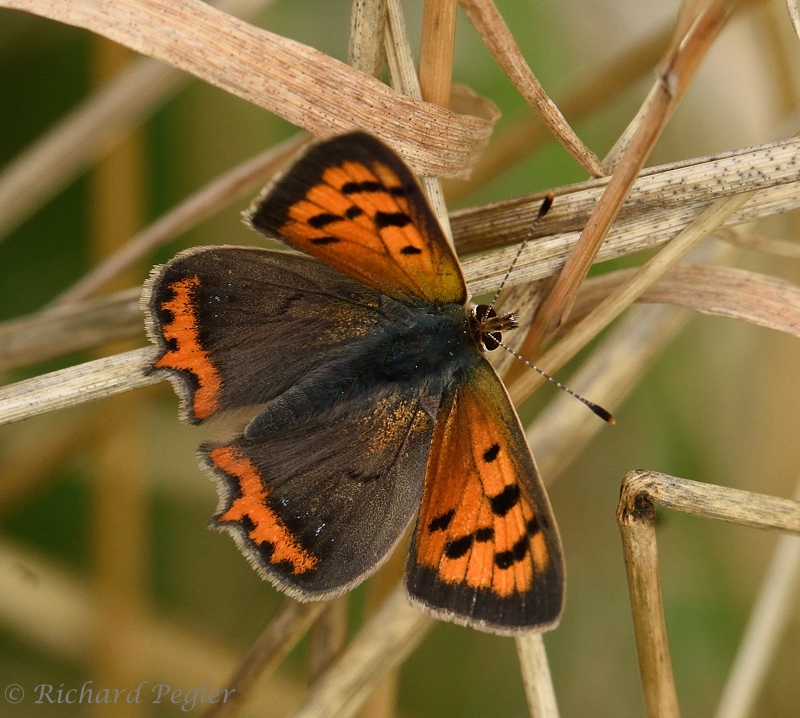 This species is said to be in worrying decline, but I think I have seen as many of these in the past ten days as I have in the whole of the rest of my life! 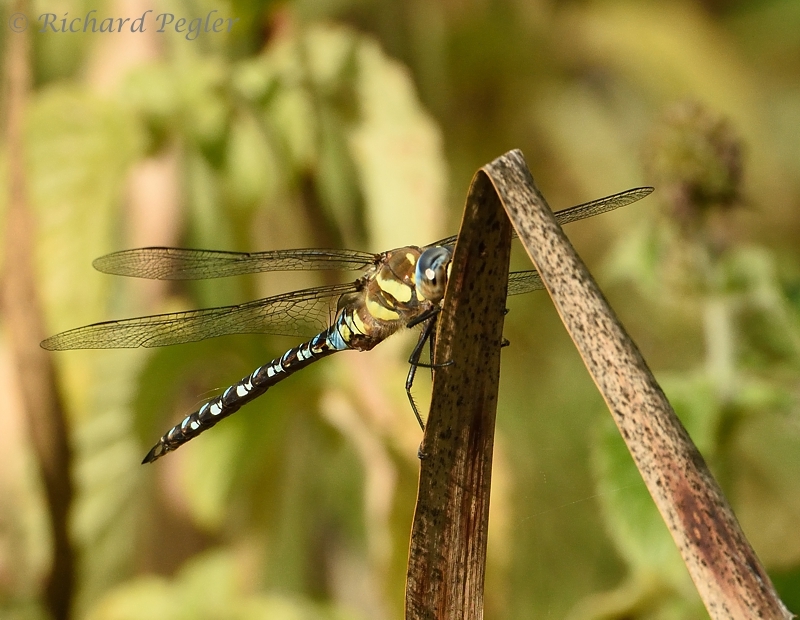 This one has patches of electric blue on its hind wings which, I think, makes it f. caeruleo-punctata. 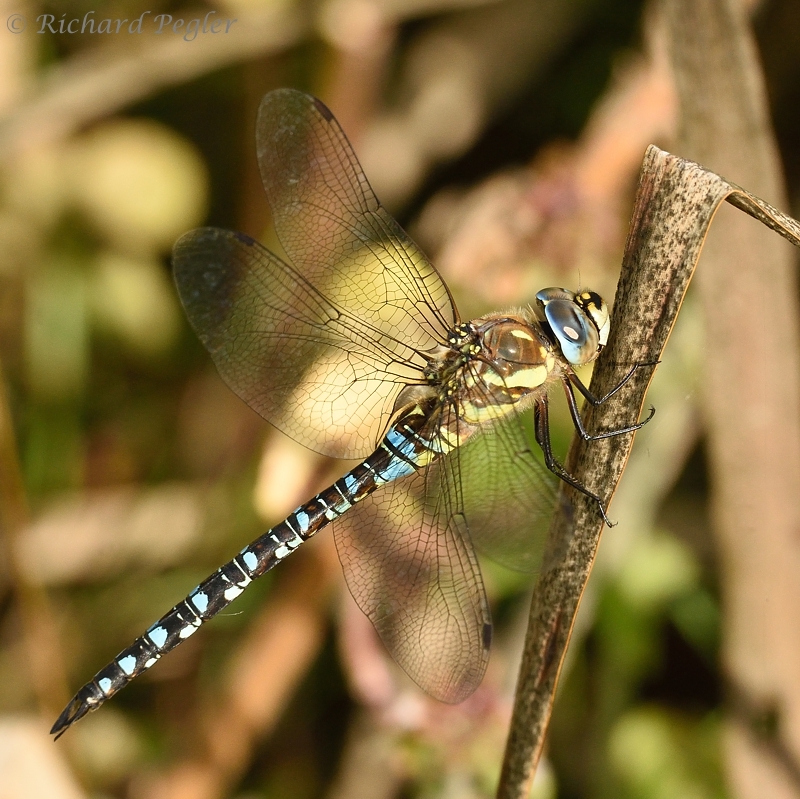 I'd done a full circuit of the lake and decided to have another look in the area that I'd had the close-up views of the Migrant Hawker. This time I found one that was patrolling the area, and occasionally having an altercation with another of its kind, whereupon it would disappear for a while before returning to keep guard over its territory, and to check me out. This gave me some opportunities for flight shots. 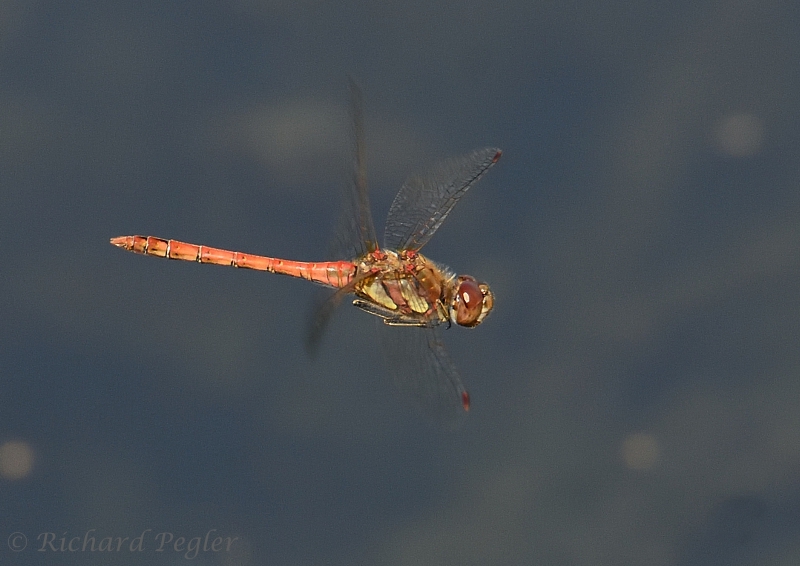 After a while, this dragonfly departed, and I turned my attention to a pair of Common Darter that were busy ovipositing out in the middle of the lake. I was hoping that they'd come closer, but they didn't. 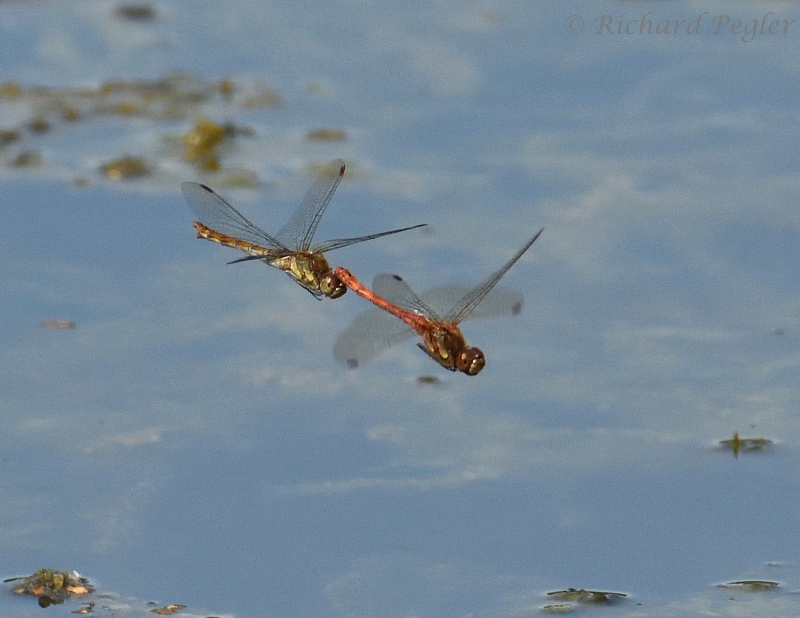 A quick look to see if I could find anything else, only yielded another perched Common Darter, and then another in flight. It was time to head homeward as there's only so much waving around of a heavy camera and 50-500 lens, trying to get flight shots, that my arms can do before giving up! It had been an enjoyable and rewarding session for me. Thank you for dropping by. 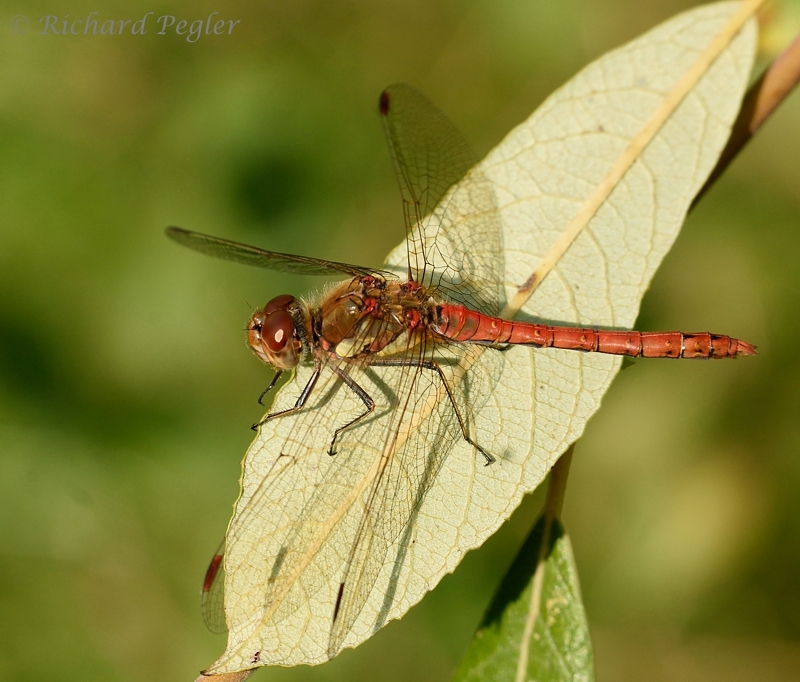 Unless something else crops up, I suspect that my next post will feature butterflies and a damselfly or two - or I might find time for a resumé of summer wildlife in our garden. Remarkable series of images, Richard, worthy of publication it seems to me. Some of the flight shots are nothing short of exquisite. So is the macro work. I am sure you now have on order a customized, highly flexible suit of protective gear, Kevlar perhaps, to enable you to tackle those brambles and get the shots you want. 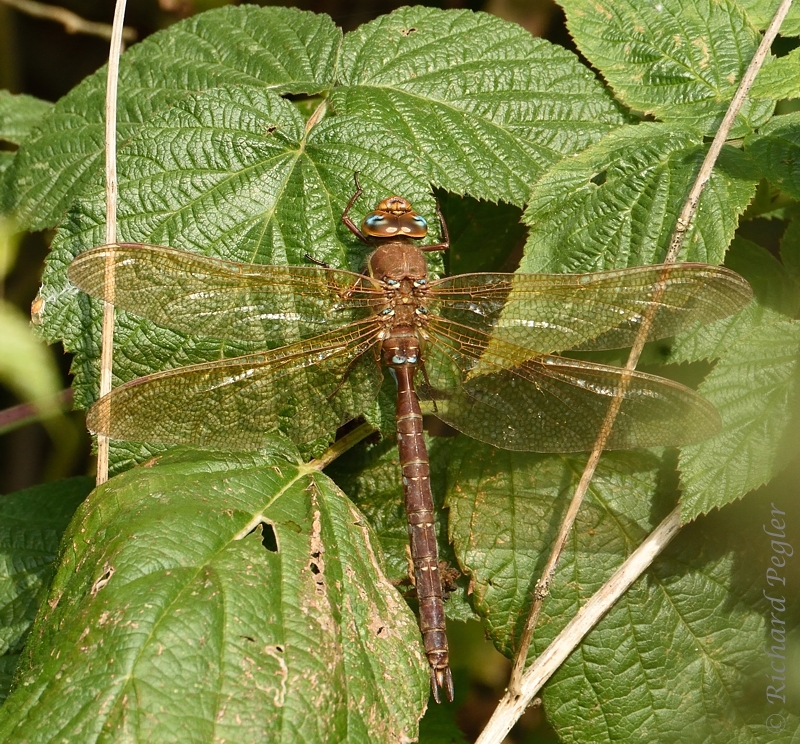 You will look quite the sight as you venture forth as the Invincible Dragonfly Stalker. Be sure to send pictures. Naah, David - just going to get a good old-fashioned scythe to complete the 'Old Father Time' image - or should that be 'the Grim Reaper'? You’re not ready for the Grim Reaper yet, Richard. I was actually thinking of impersonating said Reaper, David, and having a bit of fun, rather than meeting with him! Excellent shots. The flight images are really well worth your effort. Thank you, Adrian. I do admit to being rather satisfied when I eventually get a flight shot which contains the whole of the subject in reasonable focus! Thank you, Anne - you too! A nice autumnal selection Richard. 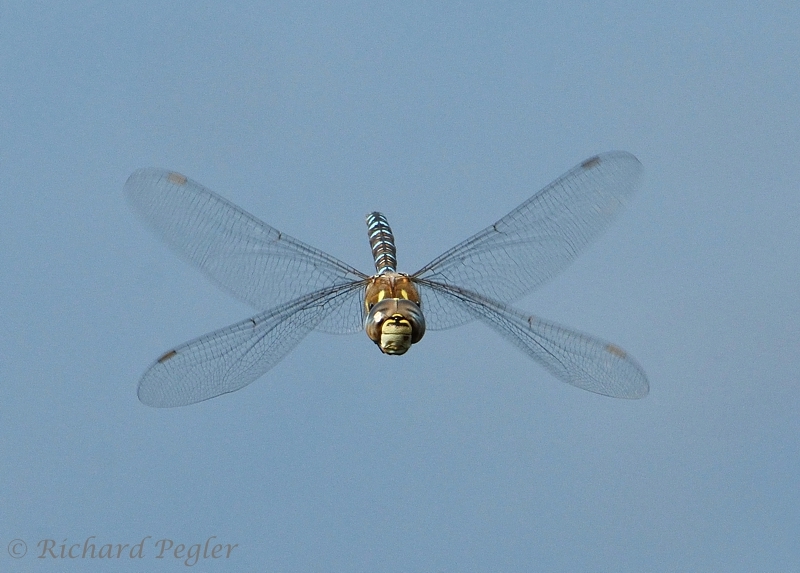 A nice Brown Hawker shot indeed. 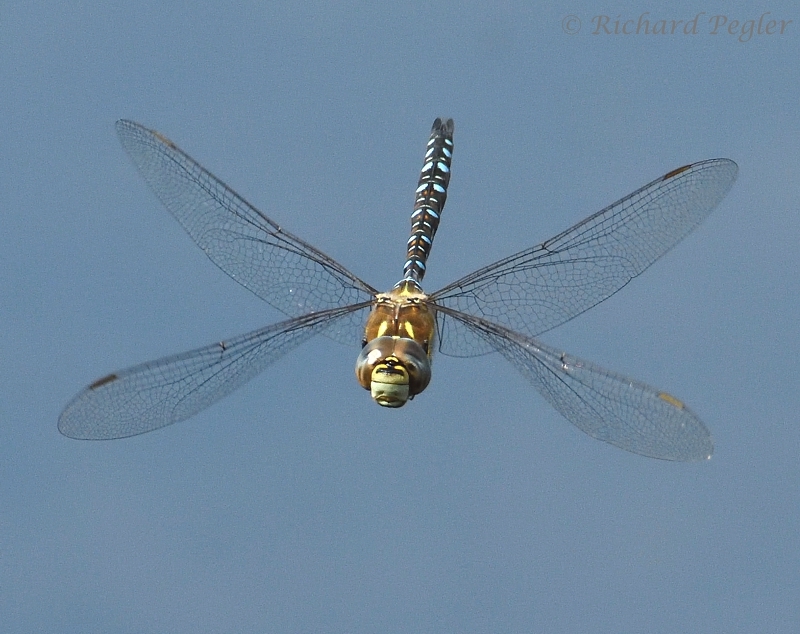 Probably the most challenging of the hawkers to capture at rest. Thank you, Marc. Not sure if I'll get many/any more opportunities this year. It's turned rather cold and windy up here. Haven't you done us proud with Butterflies and the Dragonflies. What a genious you are. That Copper is gorgeous! Very nice detailed macro work. Dragons in flight - very impressive! I rather like David's suggestion of a Kevlar suit and may begin shopping for one. Your idea of a scythe, while picturesque and, no doubt, it would look impressive - seems impractical what with hauling camera kit, bins, water bottles and what-have-you. Gini and I wish you and Lindsay the very best week! Thank you, Wally. You make a very valid point about the scythe - just got your comment in time to stop me investing in a couple (always got to have a 'spare') - going to buy a pair of secateurs instead, which will fit in a pocket, together with all the other paraphernalia. It might work - if I can find it when I need it! 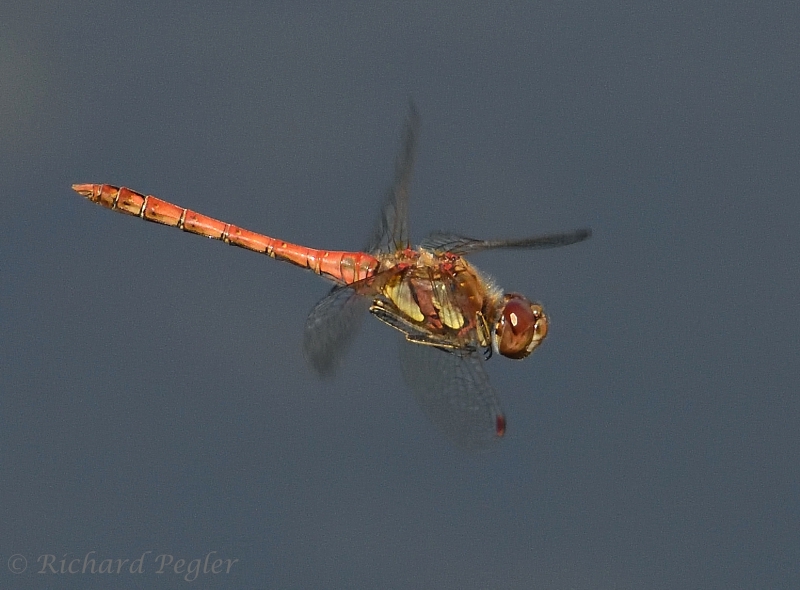 I don't get many opportunities to shoot dragons in flight, as it needs a set of favourable conditions - which is probably a good thing as there is a limit as to how many shots one can take without things getting very repetitive - I've probably erred a bit in that direction with this post. We're having a busy non-wildlife week this week. Back to 'life-laundry' and also looking for new furnishings for the first time in many years. These days, we seem to be working on the basis that much of what we buy will 'see us out' - but in an amused, rather than morbid, sort of way!! As long as it does not involve actual money. Or time. Or effort. That last bit is pretty much non-negotiable. Other than that, you can count on us!! Oops, Wally! I think I know how that happened. I'd taken a break from cooking our evening meal and was just pondering how to finish off that last sentence when I had to go back to the kitchen and attend to the culinary process. When I came back to it, after the meal, the cursor had moved up in the small 'comment writing' window on my screen (hiding the one-and-a-half paragraphs below) and, forgetting what I'd already written, I 'finished off' the reply two paragraphs above the end of my draft. I guess I'd have written "for my own recent lack of attention to wildlife"! I was having a bit of an absent-minded day that day. Now worries, Richard! Once you reach my age, you can look forward to being absent-minded EVERY day! I think I'm there already, Wally! 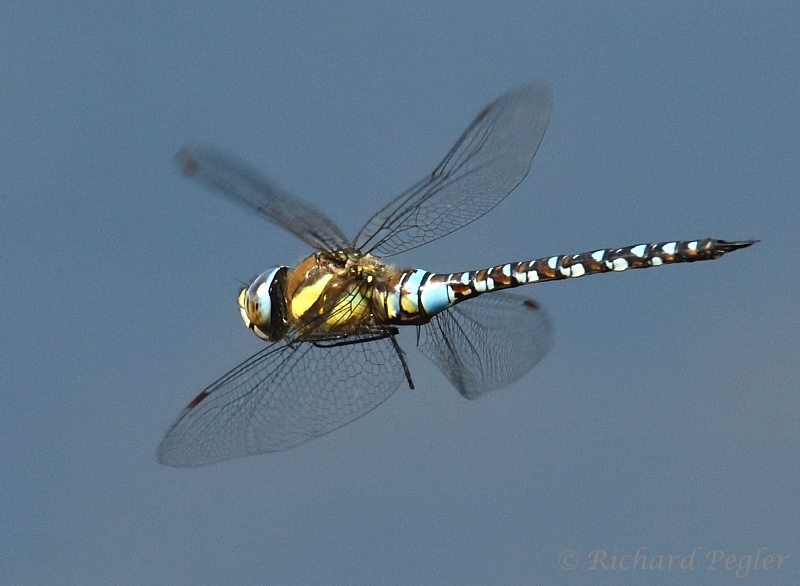 really a great beautiful series of dragonflies and butterflies. Beautiful macros and full of super beautiful details.